May | 2013 | Small Farmers. Big Change. 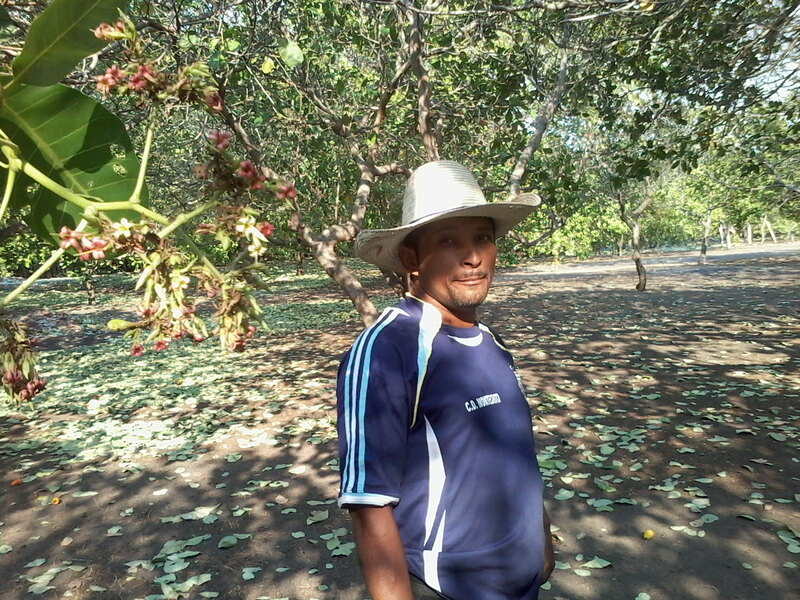 Fermin Molina in front of one of his cashew trees. The cold winter months were brightened up a bit when the Equal Exchange warehouse in Portland notified us that our first shipment of Salvadoran cashews had arrived. The nuts were so tasty they were practically sold before we could unpack the container. Once in the stores, the response was tremendous. Sales reps were hanging up the phones and reporting unexpectedly large orders. 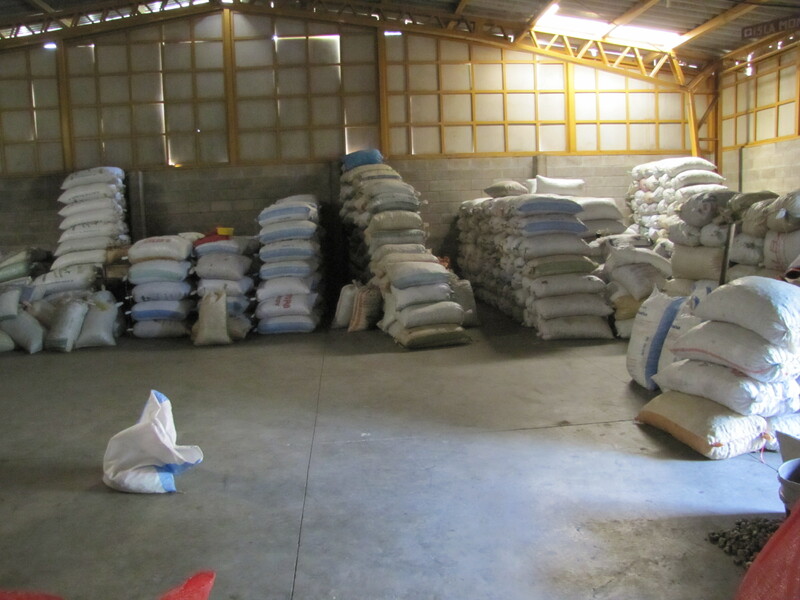 We immediately contacted Aprainores and asked for twice the quantity from the following year’s harvest. We were not going to have a problem selling these tasty snacks. Our challenge was actually the reverse: Aprainores already has two Fair Trade buyers in Europe, the trees are over fifty years old, and the co-op doesn’t have a lot of extra resources to put into farm maintenance: so how can we get more? 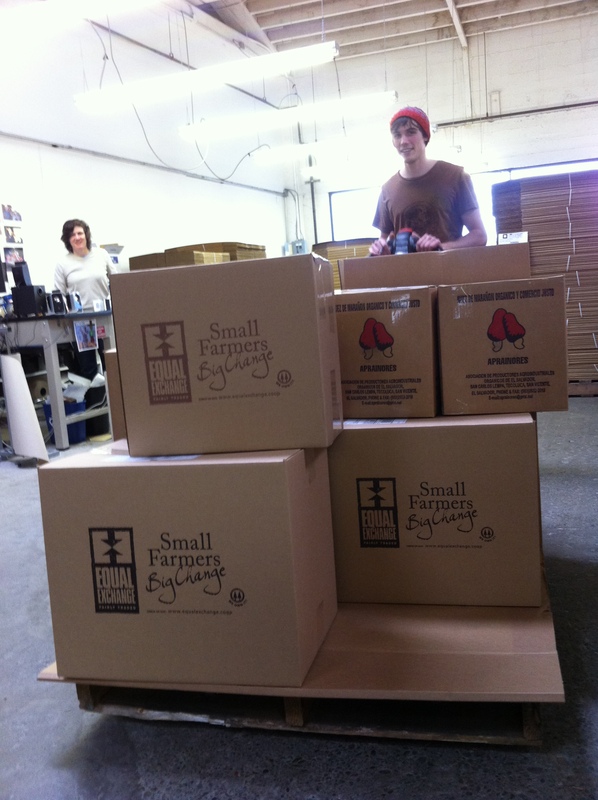 Shawn and Tyler receiving our first shipment of cashew nuts! All in all, not the worst problem to have when you’re trying to build small farmer supply chains. And then, just one month later in early March, the email came. Alex Flores wrote to tell us that the whole region had been hit by four days of unrelenting winds, and the crop was destroyed. Well, 70% of the crop, to be exact. The winds had kicked up and didn’t stop for four days and nights. 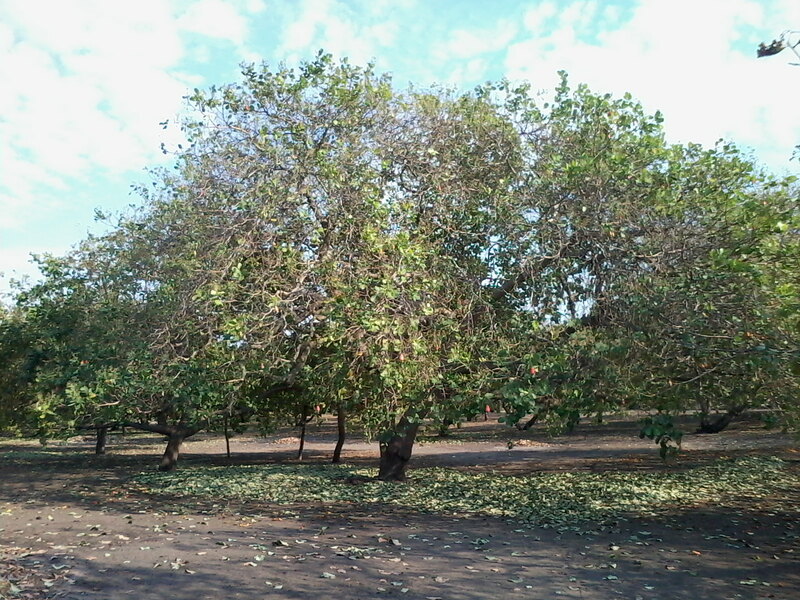 When the air calmed down, the trees which had been in beautiful bloom were totally “naked”. Flowers, fruit, and nuts had all come down. Frantically, the farmers ran around collecting whatever nuts they could, but in just four short days, the harvest season was over. I was on my way to Honduras for other business and thought I’d stop in to see for myself how the co-op was faring and if there was anything we could do to be of assistance. I left my house at 6 am and by 12 noon I was stepping off the plane in San Salvador. Alex picked me up and we drove straight to the Aprainores office and processing plant in San Vicente. It was 99 degrees and humid when we stepped out of Alex’s car, and my clothes were sticking to me. Shouldn’t it be cooler this time of year, I asked him. Normally, March and April are the unbearably hot months in El Salvador and by May, the rains have cooled the air. He shrugged and told me that the hot season now lasts well into June. The grounds were quiet. Alex unlocked the office door explaining that they had to let the staff of three go. He himself only drives to the “zone” two days per week or so to save the co-op the gasoline money and to cut down on electricity costs. He then gave me a tour of the plant, this time in operation. (When I was last there in December, the plant was finished for the year.) He pointed to where the winds had blown the roof off and he showed me the warehouse which should have been stuffed with 100 pound bags of cashews waiting to be processed and exported. It was a sad looking lot. Alex told me they’d only managed to salvage one container of cashews from the storm. The were processing that container and were going to be shipping it to Europe to be split between their two European clients. We, being their newest client, would have to wait until next year’s harvest to receive any additional cashews. Once the container was processed and shipped in July, they planned to close down the plant to save additional costs. The 60 women who normally worked in the plant through December would have to get by some other way; as would the farmers. It was a sad afternoon, but we did talk about ways in which they could reduce costs and we discussed the possibility of helping them to plant more trees, substitute out old trees for new ones, and take on a variety of farm maintenance work in order to increase future yields. Nothing will help us replenish our food co-op customers with tasty Salvadoran cashews this year, and very sadly, nothing will help the Aprainores farmers bring in a decent income this year, but maybe in the long run there’s a way to keep these farmers on their land and keep their cashew nuts on the grocery store shelves. They’ve been through too much to let four days of heavy winds set them back to such an extent. Stay tuned as we continue working with our newest partners to find solutions to man-made and natural misfortunes. Coffee. Tea. Chocolate. Bananas. Almonds. Olive Oil. Geobars. Last year we decided to add cashew nuts into the mix of new products we sell to food co-ops and consumers. You could sense the excitement in the meeting rooms of Equal Exchange from the moment the decision was made. For over twenty five years, food co-ops have been some of our strongest allies. They helped Equal Exchange launch the fair trade movement when we were just starting out, bringing Nicaraguan coffee from small farmer co-operatives into the U.S. for the first time. Much has changed in these past 25 years. Today, many consumers know; at least in rough terms; what fair trade is about. The idea of knowing where your coffee – chocolate, tea, even bananas, comes from – is not an unfamiliar concept to shoppers at food co-ops and we have many to thank for this revolution in the food system and how we choose our food products. But nuts? Dried fruit? Trail mix? Even though these products can all be purchased in packages and in bulk at our local food co-ops, how many of us know anything about them; where they come from, who grows them, and under what conditions. Ever since the U.S. fair trade certifying agency, Transfair USA, (now called Fair Trade USA) went rogue, walking away with the intellectual property of the fair trade movement (and stealing the name “Fair Trade” along with it), Equal Exchange has renewed our efforts to keep Fair Trade authentic. We’re doing this not only by educating consumers about what’s happening in the world of fair trade, but also by redoubling our efforts to support small farmer co-operatives and strengthen small farmer supply chains from farmers to consumers. One way to do this is through the delivery of more fair trade products direct to food co-ops from small farmer organizations. Enter cashew nuts. It’s 2012. 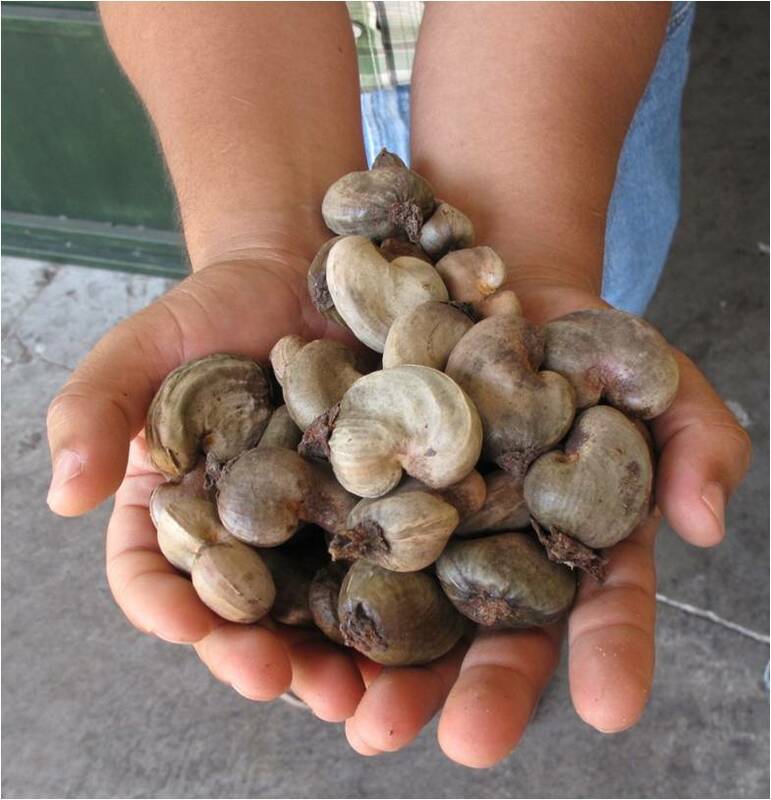 We’ve discovered our first source of high quality, organic, DELICIOUS cashew nuts from a small farmer co-op in El Salvador. Check, check, check, and check. Add to all that perfection, something else: the co-op members of Aprainores have a very moving story. 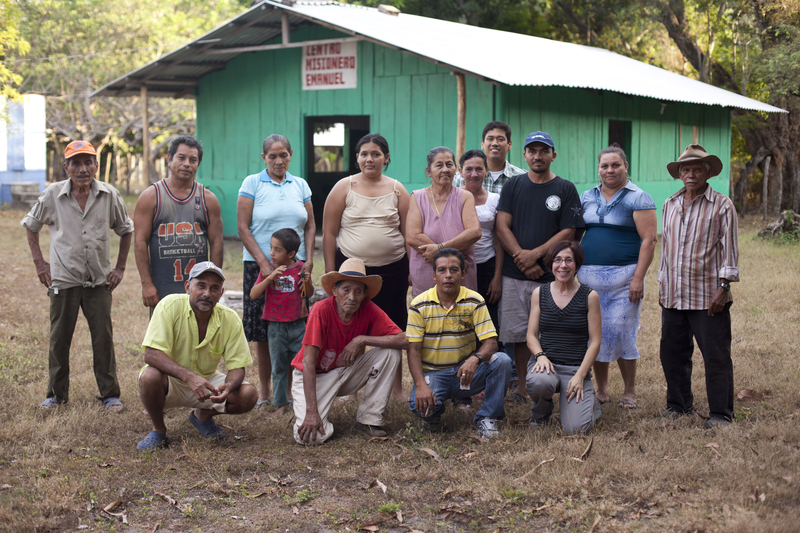 These farmers all participated in El Salvador’s 12-year civil war to fight against structural poverty, grave injustices, and tremendous repression. When the war ended, each of these combatants was given a few acres of land in the south of the country on an old cashew plantation. 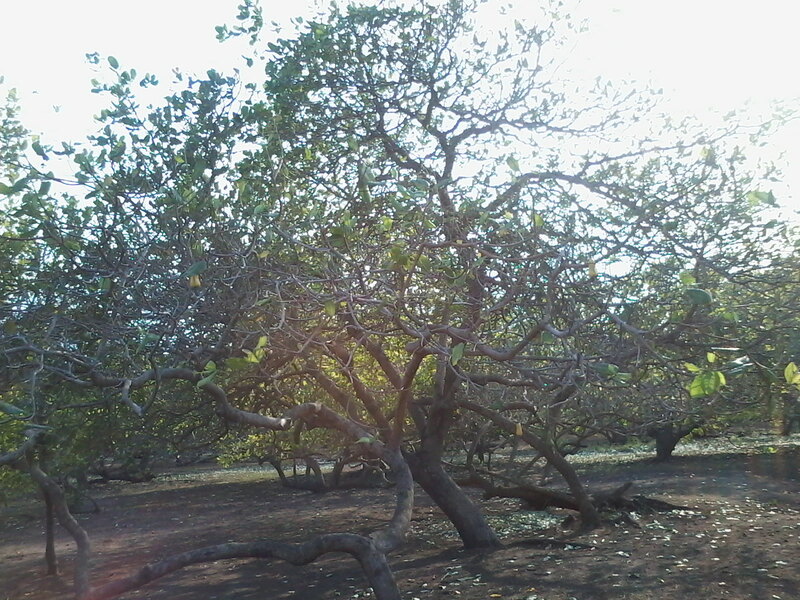 One portion of the plantation, where 20 farmers now live, is located on the island of Montecristo, a beautiful nature reserve filled with mangrove estuaries and endangered bird species. 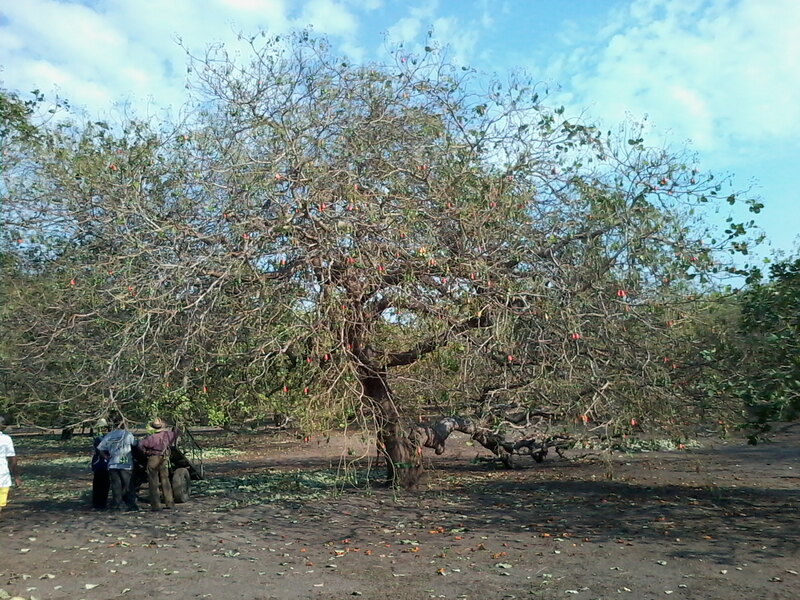 By buying these cashews, consumers are not only getting some of the best tasting nuts we’ve sampled, but are also helping to ensure that these farmers improve the quality of their lives and continue to protect the fragile ecosystem that they are stewarding. Another check. Truly, what could be better? Well, for me, there’s another level of excitement: I used to live and work in El Salvador; I know this part of the country intimately; I even met with these farmers many years ago when the organization I worked for was offering co-op development trainings to newly formed co-ops. It’s been years since I’ve known anything about what has happened to them and now Equal Exchange is in a position to support them by selling their cashews into the U.S. market. CHECK.CHECK.CHECK. We received our first shipment this past February. The food co-ops and the consumers love them. (Actually, the staff loves them so much that we had to be careful or they might never have made it to market.) We sold more than we imagined possible. The excitement builds. For the first time, a consumer can buy organic cashew nuts on Fair Trade terms, get amazing quality and flavor, AND know the whole story behind the product. Click here for their full story and photos of the APRAINORES farmers. Next: Part II: Nature intervenes.